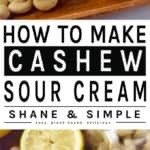 Cashews are a spectacular little food and a miracle worker when it comes to dairy free living. 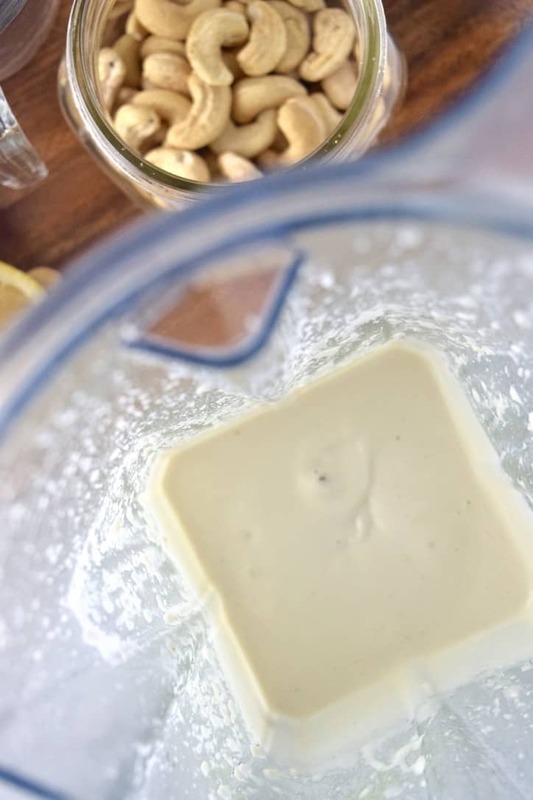 I’m about to show you how to make cashew sour cream and it will blow your mind. Are…you…READY?!? 5 Ingredients and less than 30 seconds to make. I know. Amazing, right? 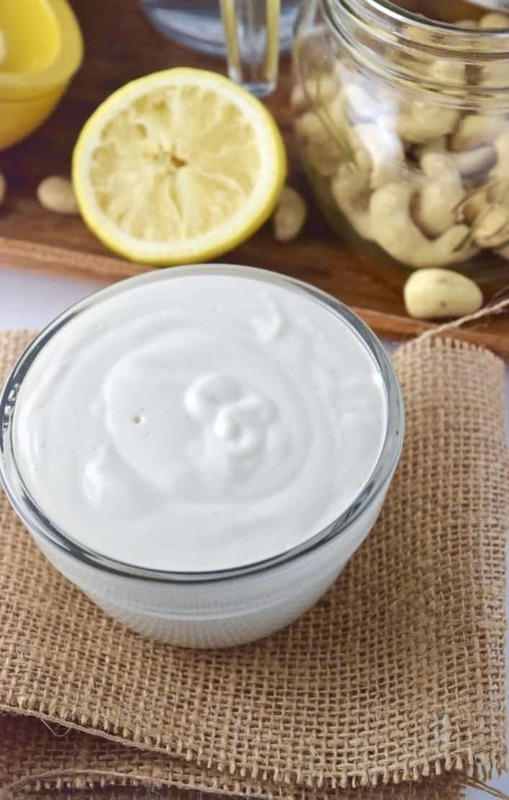 This cashew sour cream is super good! It’s healthier than regular sour cream, which is made with dairy. 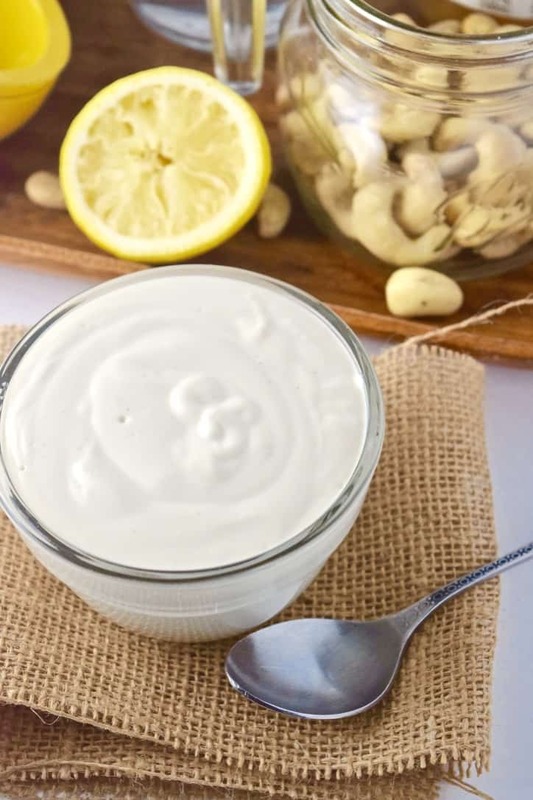 The cashews provide a rich and creamy texture as well as a slight sweetness with a little “tang” that is the perfect compliment to spicy meals. Simply add all your ingredients to a blender and let the fun begin. Right before your eyes, in just a few seconds, an amazing transformation. And, just like that…SOUR CREAM! Creamy, tangy, rich, and delicious! 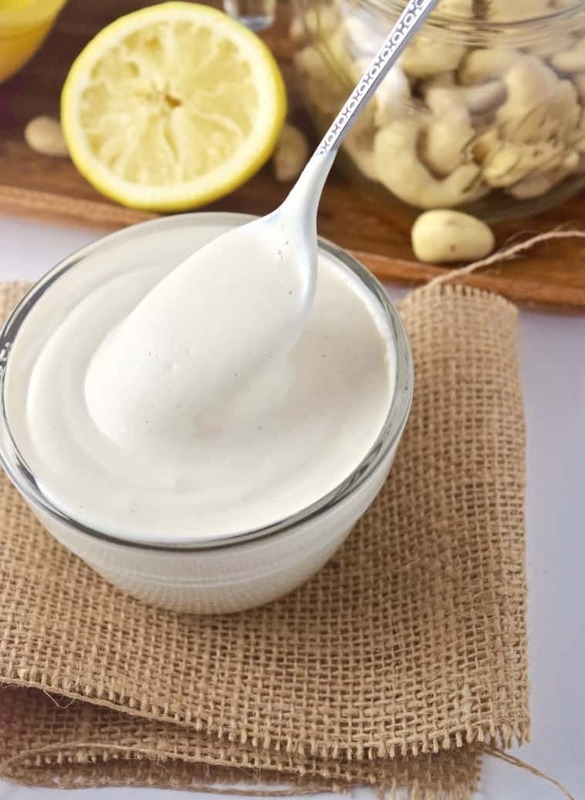 This cashew sour cream is tangy, rich, and super creamy! It’s much healthier than regular sour cream. 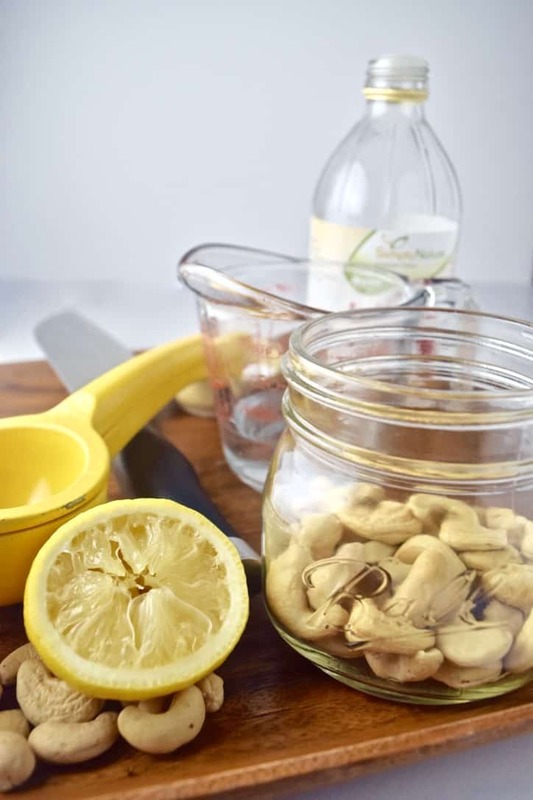 The cashews provide an amazing texture when soaked and blended as well as a slight sweetness. It’s the perfect compliment for spicy dishes like your favorite veggie chili or veggie enchiladas. 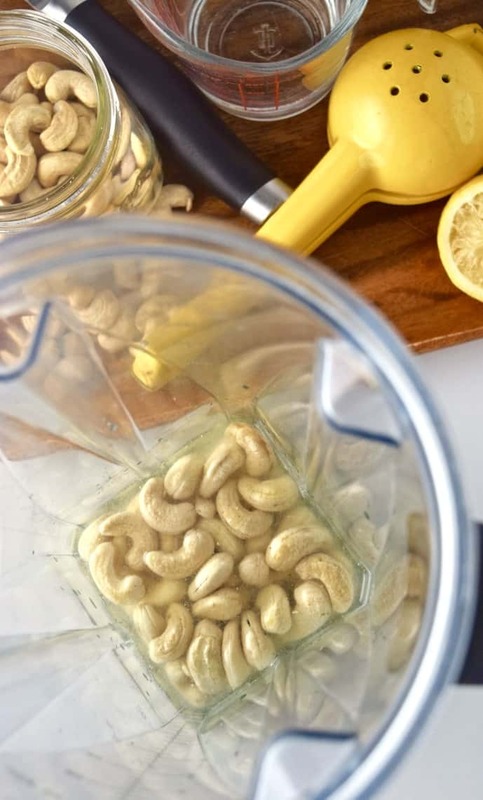 If you own a high-speed blender, like a Vitamix, it’s not necessary to soak the cashews, but it does help to make them even creamier. 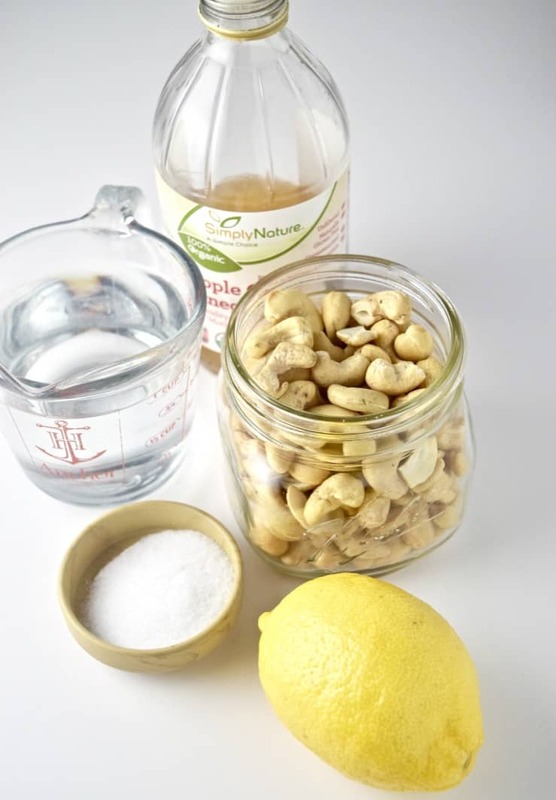 To make the cashews extra creamy, soak the cashews overnight for at least 8-12 hours. Sadly, all of it usually gets eaten they day we make it:) But, the times I have managed to save some for myself, I have kept it covered in the fridge for up to 5 days. You should be just fine:) Happy Thanksgiving! Hey I don’t have vinegar ; is it possible to make it without it ?? I love all your recipes .. Thank you !! Yes. Just add a little more lemon. Should still turn out well. Thanks for reaching out! Rich, creamy and tangy. Better than regular sour cream. And, healthier! Best cashew cream I’ve had ! Thank you, Jan! I really appreciate it. I used to make homemade onion dip with Greek yogurt And carmelized Shallots. 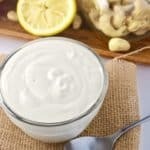 I wonder if tnie ciule veganize my signature dip! Wow. Bad autocorrect there. So sorry.